Global SX Events Inc. are pleased to welcome Endvr as official partner for the 2014 UCI BMX Supercross World Cup. 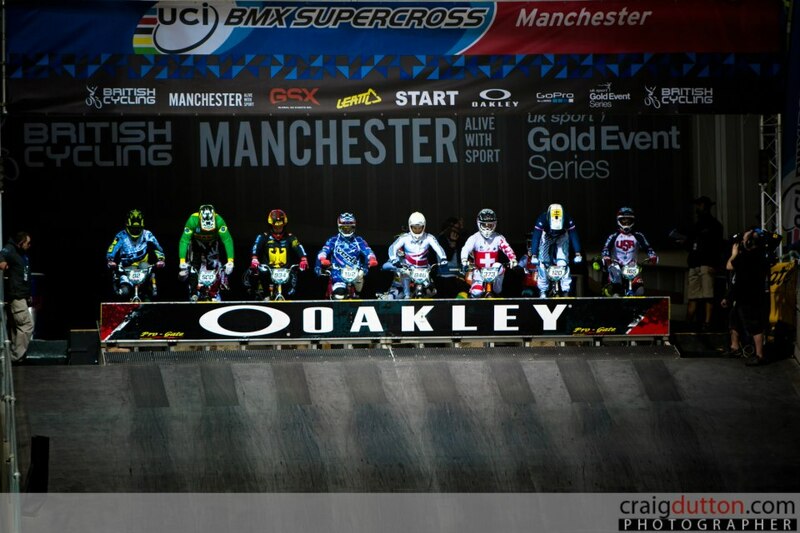 2013 marks the 10 year anniversary of the UCI BMX Supercross World Cup which has revitalized BMX with its exciting and spectacular Supercross format. The UCI BMX Supercross World Cup served as the main qualification events for the 2012 Olympic Games and will continue to be the worlds leading BMX racing series leading up the 2016 Olympic Games in Rio De Janeiro, Brasil. Endevr is the maker of three incredible products built to help any athlete stay safe, recover from injury, and push to new heights. The products include MyID, StrengthTape Kinesiology tape, and PureStrength wristsbands. The Endevr MyID emergency ID bracelets are a complete solution to life’s scary moments. MyID is a fully customizable emergency ID bracelet that stores your vital information to quickly assist first responders and medical professionals when they need to act fast. The medical ID wristband stores your emergency contacts, vitals, medical, and insurance information on secure cloud-based servers. StrengthTape by Endevr is made to stick through absolutely everything. Kinesiology tape is only offers affective theraputic support if it remains in tact. The majority of athletic tapes on the market aren’t built to stand up to the abuse elite BMX professionals throw at it. StrengthTape exclusively features AllSport™ adhesive that sticks for up to 7 days through sweat, mud, humidity, and water. It supports muscles and tissues while still allowing full range-of-motion so you can get back in the game faster with StrengthTape. PureStrength products by Endevr feature both Ion and Far Infrared technology. They are infused with seven natural minerals that work together to produce a measurable antioxidant that can be absorbed through the skin. In essense it’s like a vitamin that you wear, and helps our athletes feel great. “Endvr and their products are certainly a perfect fit for the BMX Supercross and we are pleased to have them onboard” says Johan Lindstrom, CEO of GSX Events Inc.
“Endevr products certainly supports and reflects the lifestyles of today’s BMX athletes” continues Johan “Let’s face it, BMX is an high impact sport where injuries is part of daily life. The Lifestrength products, and especially the Strength tape will keep athletes competitive throughout the occasional injuries” adds Lindstrom. “We have chosen the name ENDEVRTM because the journey is more important than the destination” says Steve Schone, CEO of ENDEVRTM. “We believe everyone has inner life strength capable of fueling incredible accomplishments. Our goal is to stoke the fires of determined effort amidst challenge by bringing innovative products to the market that promotes the unconquerable spirit within us all” adds Mr. Schone. About Global SX Events, Inc.
Willoughby and Pajon win final UCI BMX Supercross World Cup race in Chula Vista.